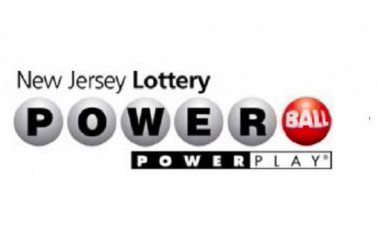 A North Jersey man came forward on Friday to reveal himself as the sole winner of $315.3 million Powerball jackpot, marking the third largest win of its kind in state history. Tayeb Souami, a 55-year-old accountant from Little Ferry in Bergen County, said at a press conference Friday that he already quit his job at a food importing company, according to NJ.com. Souami, married with four children, added that his goal is to ensure that his kids have their educations covered. He opted for a lump sum payment of $183 million before taxes. The lone winning lottery ticket — matching the numbers 3, 6, 9, 17, 56 and the Powerball 25 drawn May 19 — was purchased at a ShopRite in Hackensack. His odds on winning were one in 292.2 million. Lottery officials said Souami waited a day before he checked the numbers at another location that happened to be a lottery retailer. When the clerk scanned the ticket, she said, "Oh, my God!" Souami thought he might have won the $50,000 prize, but when the validation slip said jackpot, his heart began to race and struggled to fill out the claim form. Souami, originally from Africa, moved to the United States in 1996. His windfall is the fourth largest jackpot in the history of the New Jersey Lottery. The $533 million haul won by Vernon resident Richard Wahl in April is the highest jackpot payout in recorded in New Jersey.